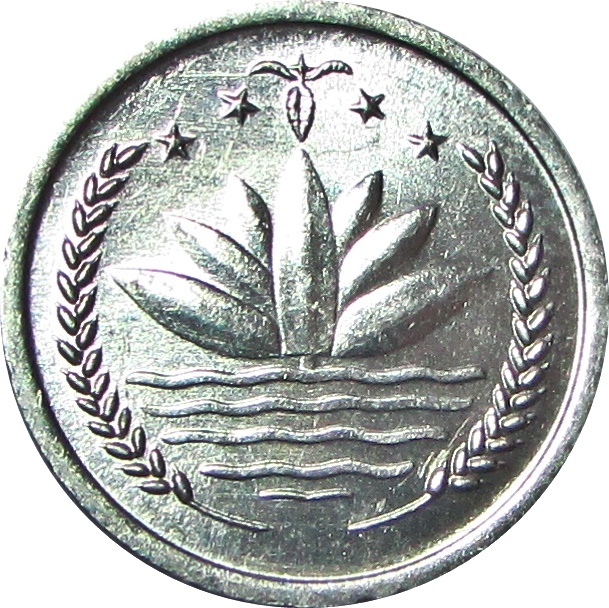 The National Emblem of Bangladesh: a water lily bordered on two sides by rice sheaves. 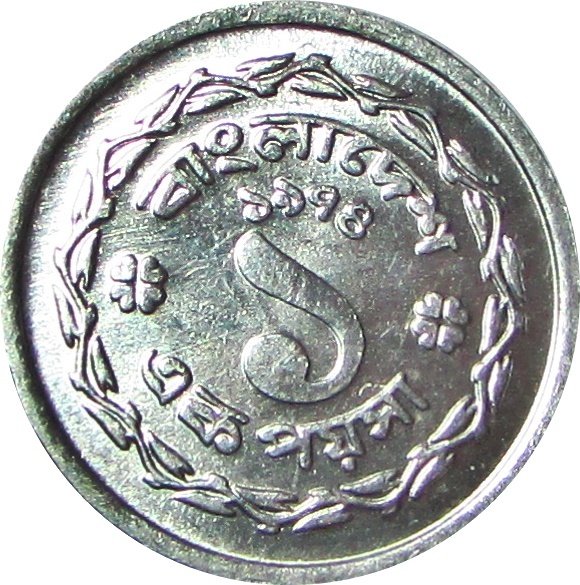 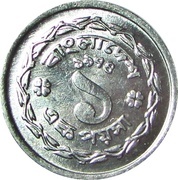 Above are a three-leaf clover of tea leaves and four stars representing the four principles of the first constitution of Bangladesh in 1972: nationalism, secularism, socialism, and democracy. 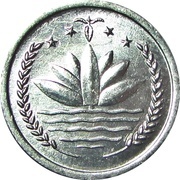 Facial value in text form and the word "Bangladesh"